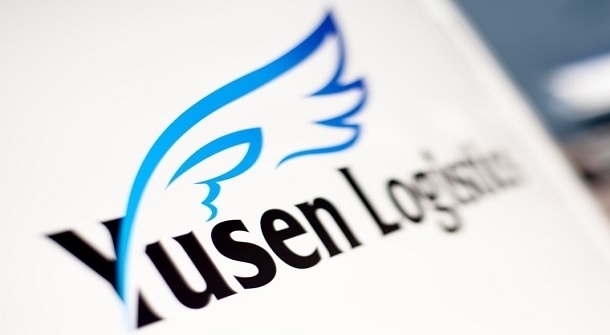 Yusen Logistics gears up for growth with technology investments! Over the past year, the award winning logistics provider, Yusen Logistics UK (www.yusen-logistics.com), has made a number of significant investments in their infrastructure and capability – driving their competitive advantage and pushing them forwards as one of the leading innovative 3PLs in the UK. Ralph further added: “The software covers all workflow elements involved with the successful execution of a dynamic operation, from complete control of master data to order entry and planning. The Gemini Print Team have more to Celebrate! Christmas Cheer is spread at South of England Show's Magical Winter Fair! asb law wins Deal of the Year at the Kent Corporate Finance Alliance Awards 2018! Become a Hospice Hero and Abseil for St Catherine's! New Serviced Accommodation Secrets podcast launch! Ifield Community College Needs Your Expertise! Somewhere to stay after the last gdb Members Meeting! Come along to the Christmas Party Night with Hartsfield Manor! Are you making the most of your water? Kreston Reeves wants to know, is your business Going for Growth? Don't leave it too late to plan for your old age! St Catherine's Hospice biggest ever Dragon Boat Festival returns with a splash! Brighton Expo "Special Early Bird Offer"
September 2018 - Richard Place Dobson’s is hosting “Summer Games” in aid of Crawley Open House! ACUMEN BUSINESS ACADEMY - See you in court! !....or not? Beat back to school blues with St Catherine’s Hospice Family Fun weekend! Positive Comedy website has been selected among the top ten UK humour websites and blogs for 2018. East Surrey College launches new Part-time courses to start September 2018! The Wilderness Wonder | Early Bird Discount for Wilderness Wonder Charity Ball ends Monday 4th June! GDB partnership – after a chance encounter! Glorious Goodwood sets the stage for networking day raising thousands of pounds for Sussex children’s charity! TAKE THAT CHANCE TO MAKE A DIFFERENCE WITH ST CATHERINE’S LIVE AT THE LAKE! We’re recruiting our next Apprentice! The growth of Sussex’s friendliest managed IT provider. Taking ‘a head in the clouds’ to the extreme! Ifield Community College needs COMPUTERS! Brighton Harbour Hotel offers gdb members 2 complimentary spa passes for every DDR booking! What’s the difference between Equal Pay and The Gender Pay Gap? EMW are opening up their third office in Gatwick in April 2018. Get Involved - Register for Crawley Question Time 2018! 4th February is World Cancer Day and Cancer Research UK would love to see the Gatwick Diamond businesses unite together against cancer for a very special campaign! gdb Launches January Winter Sale 2018 | Join now with no registration fee!